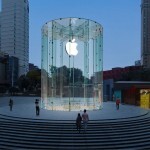 Apple has just held the grand opening of its latest retail store in China, located in the Jiefangbei district of Chongqing. In addition, the company has posted a making-of video of the store’s promotional mural on its official YouTube channel. The video, whose original Chinese version was posted a few days ago on Apple’s retail site, offers a behind-the-scenes look at how the magnificent mural came to be. The mural was then wrapped around the Jiefangbei store ahead of its unveiling a few hours ago. As expected, the new store looks like a smaller version of Apple’s flagship store in Shanghai, which features Apple’s patented glass cylinder design. 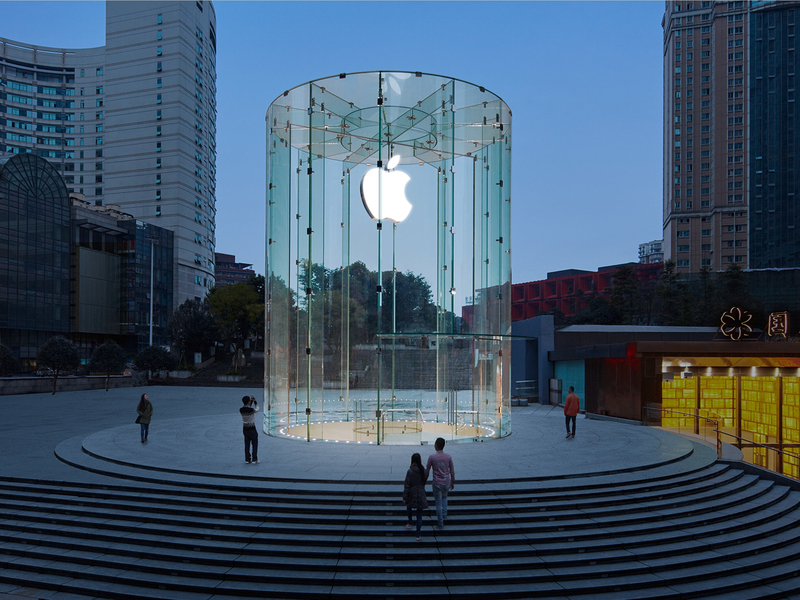 The newly inaugurated retail location is the second Apple store in Chongqing, joining the one at Paradise Walk mall in the Jiangbei district, which opened in July last year. Last week, Apple opened its new West Lake store in Hangzhou, which is the largest Apple store not only in China but in the whole of Asia. To celebrate that store’s grand opening, the company tapped the renowned local calligrapher Wang Dongling to create a beautiful mural featuring an Apple logo surrounded by Chinese characters that form a poem about West Lake. We’ll see if Apple will also commission murals for its other soon-to-open stores in China, particularly the three that are set to be inaugurated before the Chinese New Year festival on Feb. 19. The opening of the new Jiefangbei store is a great conclusion to what has been a big week for Apple and China, which is the company’s most important growth market. Earlier this week, the Cupertino-based company announced that for the first time, more iPhones were sold in China than in the U.S. It was also named the No. 1 luxury gift provider in China and the No. 1 smartphone vendor in the country along with Samsung. See also: Embracing China isn’t all good news for Apple, Will Chinese authorities now have access to our Phones?, and The iPhone 6 Plus is gaining popularity in China, which spells great news for Apple.